Yes this is the correct place to be if you want to see all the latest news about the Documentary “More than a Marble Path”! Now available also online for free. Follow us for more information and all the news about this documentary. We have posted many things and media for our documentary “More Than A Marble Path” all this time like images comments and articles about the various projections. Now you can all enjoy our first documentary because it is available online for everyone to watch for free! The movie is under this Creative Commons License. After 2 weeks of shooting in July of 2012 and 5 months of post-production the documentary “More than a Marble path” is ready. It is about 18 people from every corner of the planet who decided instead of holidays to travel at their own expenses in the small village of Isternia in Tinos island, Greece. Instead of spending 2 weeks on a sunbed with sunscreen they spent 2 weeks with a shovel and a rake. They wanted to join one of the hundreds of workcamps taking place each year around the world. 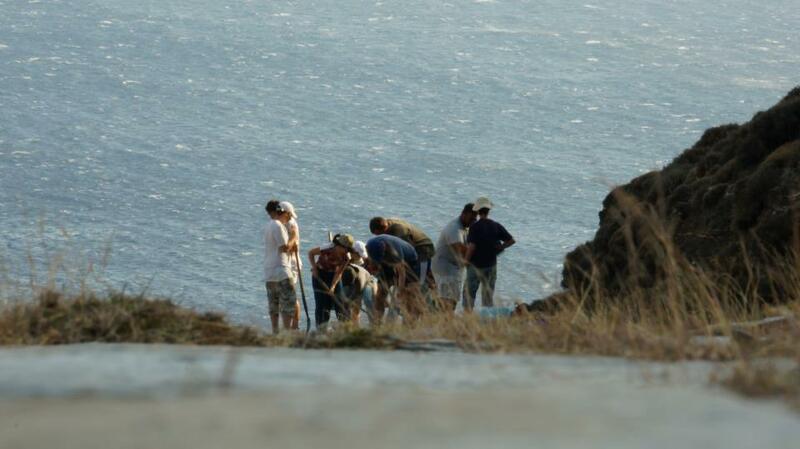 The purpose of the program was to give life to a marble build path of unique historical importance that connects the village on the side of the hill with the sea and it was organized by the NGO Citizens in Action. For all the latest News and Information don’t forget to visit the official website of the movie here. 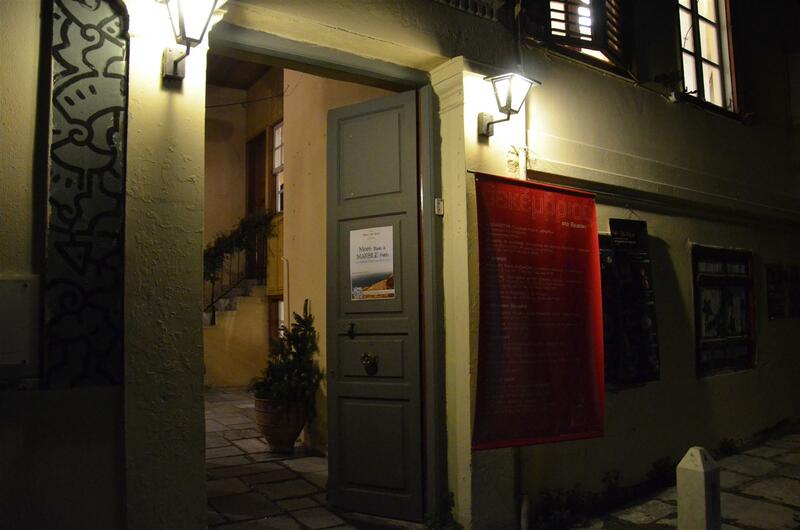 On Sunday (13 January 2013) the “Brotherhood of Tinians in Athens,” cut their New Year’s pie. With great pleasure, we accepted the invitation of their president, Sotiris Kourvaras to present there our documentary. He had been present at the “Vryssaki” and attended our first projection held there. The cutting of the New Year’s pie was a pleasant surprise for us with an idea of Greek island traditions that have been pasted. Children of all ages from 5 to 95, had come to see their friends, to tell the news, to have fun, to gossip and slowly all together, sat down to begin the celebration. Την Κυριακή (13 Ιανουαρίου 2013) η “Αδελφότητα Τηνίων εν Αθήναις”, έκοψε την πρωτοχρονιάτικη πίτα της. Με μεγάλη μας χαρά, αποδεχθήκαμε την πρόσκληση του προέδρου του συλλόγου, Σωτήρη Κουρβαρά, να παρουσιάσουμε το ντοκιμαντέρ στους συντοπίτες του. Ο ίδιος είχε παραστεί στο “Βρυσάκι” και παρακολούθησε την πρώτη προβολή που έγινε εκεί. Η κοπή της πίτας, μας εξέπληξε ευχάριστα. Είχε μυρωδιά απο νησί από παλιά Ελλάδα. Παιδιά κάθε ηλικίας, από 5 έως 95, είχαν έρθει να δούν τους φίλους τους, να πουν τα νέα τους, να κάνουν πλάκα, να κουτσομπολέψουν και σιγά σιγά όλοι μαζί, κάθισαν για να ξεκινήσει η γιορτή. News from the Avant Premiere of our kickstart documentary. Last Tuesday (8th January 2012) was the first screening of our kick start documentary “More Than A Marble Path”. This completed a months-long effort that set the rules and self-defined us as a group of ambitious filmmakers. Νέα απο την Πρεμιέρα του πρώτου μας Ντοκιμαντέρ. Την περασμένη Τρίτη (8 Ιανουαρίου 2012) πραγματοποιήθηκε η παρουσίαση του πρώτου μας Ντοκιματέρ “More Than A Marble Path| Κάτι Περισσότερο απο Μονοπάτι”. Αυτό, ήταν η ολοκλήρωση μιας πολύμηνης προσπάθειας με σκοπό να θέσει τους κάνονες και να μας αυτοπροσδιορίσει, σαν παρέα φιλόδοξων κινηματογραφιστών. The official trailer of our documentary is now released. contact us button and feel free to write to us. Great news from Break The Couch team. Our kick start audiovisual product is ready for the big screen. 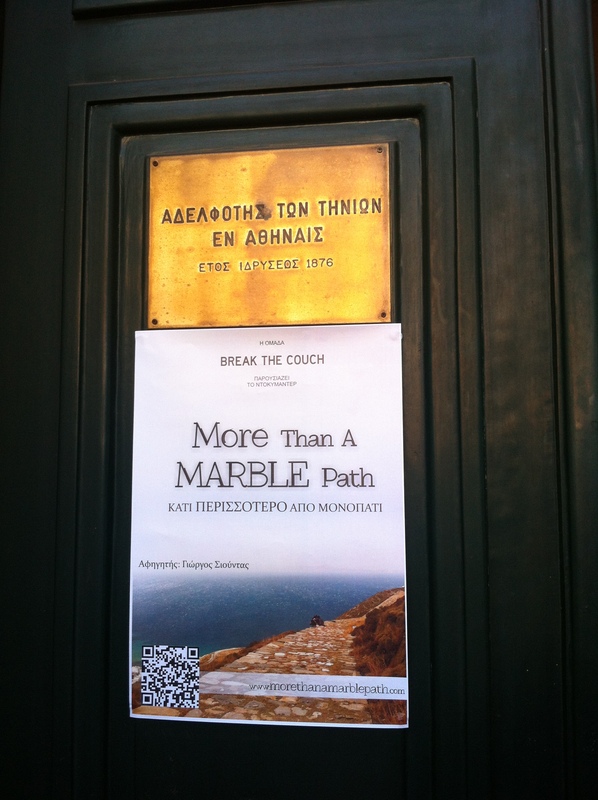 After 2 weeks of shooting and 5 months of post production we are ready to screen our documentary named: “More than a Marble path / Κάτι περισσότερο απο μονοπάτι”.